Mr. Tambourine Man is a song written and performed by Bob Dylan, which was released on his 1965 album Bringing It All Back Home. 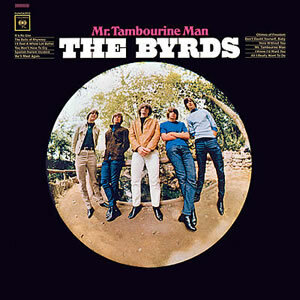 The Byrds also recorded a version of the song that was released as their first single on Columbia Records, reaching number 1 on both the Billboard Hot 100 chart and the UK Singles Chart, as well as being the title track of their first album, Mr. Tambourine Man. The Byrds recording of the song was influential in initiating the musical subgenre of folk rock, leading many contemporary bands to mimic its fusion of jangly guitars and intellectual lyrics in the wake of the single's success.